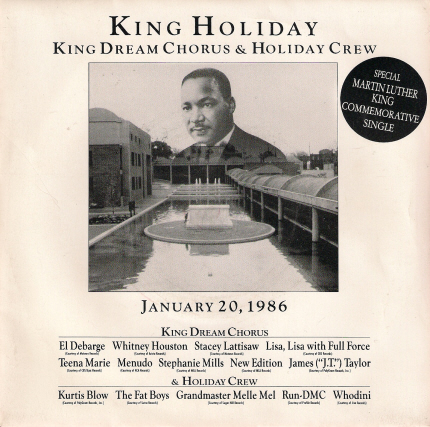 The King Dream Chorus and Holiday Crew dropped “King Holiday” in January 1986 in honor of Martin Luther King Jr’s birthday finally being recognized as a national holiday. The Fat Boys, Whodini, Grandmaster Melle Mel, Kurtis Blow and Run-DMC are the “Holiday Crew” while numerous singers make up the “King Dream Chorus,” including New Edition, Menudo, El DeBarge, Whitney Houston and the late great Teena Marie. MLK’s son Dexter Scott King, who has legal disputes with his siblings pertaining to their late father’s estate, executive produced the project. 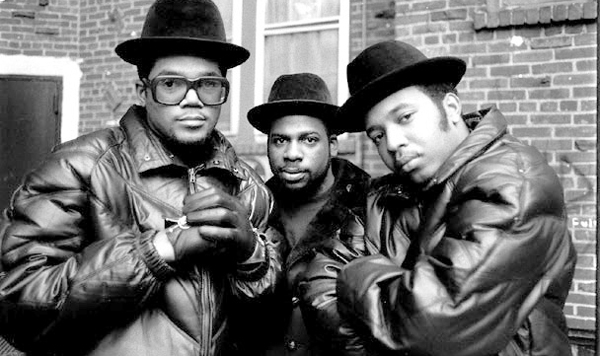 Run-DMC had a lot of great records. But “Beats to the Rhyme” from their Tougher Than Leather album is one of my favorites. Run and DMC rocking the mic while the late great Jam Master Jay cuts up “Nautilus” by Bob James something crazy. I’m pretty sure the crew from Hollis performed “Beats to the Rhyme” on Saturday Night Live in 1986 but that clip isn’t on the Internets at the moment. Video from Arista above, and performing at the world famous Apollo below. Rest in peace to Jason “Jam Master Jay” Mizell. Seven years later and his untimely death still stings. “Peter Piper” is incredible, “Jam Master Jay” is a Run-DMC classic (ask Nas). But my favorite song from the Hollis trio that features Jam Master Jay cutting and scratching (Bob James “Nautilus”) with finesse is “Beats to the Rhyme.” Makes Tougher Than Leather almost watchable. Below, trailer for the 2 Turntables And A Microphone documentary about JMJ due out soon.